What are 5 Common Dental Problems that Affect Adults? Taking good care of your teeth is important no matter how old you are, but as you age, your risk factor for oral health issues increases. The good news is that many problems can be prevented with a combination of good oral hygiene, a healthy diet, and regular visits to your dentist. Here are five common oral health issues that affect adults and what you can do to alleviate these problems. Bridges that are anchored to adjacent teeth that can be removable or fixed. Dentures if you have lost all or most of your teeth. Implants that are most natural in appearance to your teeth. The first stage of gum disease is called gingivitis and if treated properly may be reversed. If left untreated, gingivitis may lead to more serious gum disease called periodontitis. Regular checkups with your dentist are important since gum disease may go undetected in the early stages. Treatment for gum disease will depend on the type of disease and how far it has progressed. Your dentist may recommend desensitizing tooth paste or alternative treatment depending on the reasons for the sensitivity. Good oral hygiene is key to preventing sensitive tooth pain. If your mouth is always dry, it may be time for a visit to your dentist or physician to check it out. Certain health conditions or medications may lead to a dry mouth. Your dentist can do an examination for any tooth decay that is a result of decreased saliva flow and its cleansing effects. A physician will test for any underlying health issues that lead to dry mouth. Oropharyngeal cancer may affect any area of the oropharyngeal cavity including lips, gum tissue, cheek lining, tongue, jaw and throat. Your dentist will do a thorough examination to detect any of these areas for a sign of cancer. If you notice any tiny white or red spots or sore and swelling anywhere in the mouth or throat you should see your dentist to have a look for any suspicious changes in your oral health. Schedule your next cleaning and checkup today to help you maintain a healthy and bright smile for years to come. Dr. Melchers and his experienced staff are here to address all your oral health care issues. Contact us today at info@oldmtpleasantdentistry.com to see how we can best meet your dental care needs. 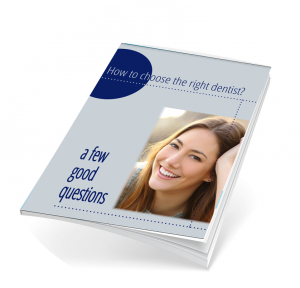 Our Ultimate Guide to Choosing a Dentist will help you know the right questions to ask when you’re looking for a new dentist. Is It Time for a Deep Cleaning to Help Prevent Gum Disease? Smiling Bright? These Foods Could Stain Your Teeth. Would you consider writing a review?